James Toma, mayor of West Covina, will be the keynote speaker of a program marking the official merger of the Venice-Culver and West Los Angeles JACL chapters. The luncheon event will be held on Sunday, Dec. 11, from 12 to 2 p.m. at the Venice Japanese Community Center (VJCC), 12448 Braddock Dr. in Los Angeles. A graduate of Yale University in 1992, Toma earned a master’s degree in public policy from UC Berkeley, where he later attained a law degree. 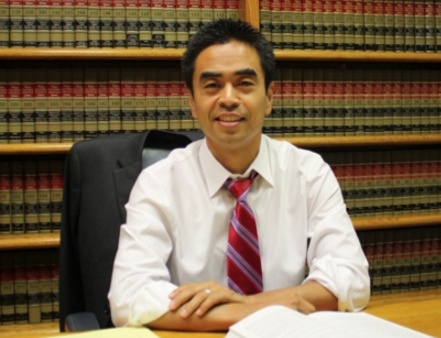 He is currently a deputy attorney general for the California Department of Justice’s Office of the Attorney General, where he works on consumer protection issues. Toma was first elected to the West Covina City Council in November 2013 and was the top vote-getter in that election. Gary Mayeda, JACL national president, will swear in the newly elected board officers and members of the chapter, which will be known as the Venice-West Los Angeles JACL. The event is open to the public. Cost is $35 per person, and RSVP deadline is Dec. 3. For more information, contact (310) 719-2364 or [email protected] Online reservations can also be made at: http://bit.ly/VeniceWLAInstallation2016.